This morning Chris Donaldson, our new chaplain to Wairau hospital preached on caring. 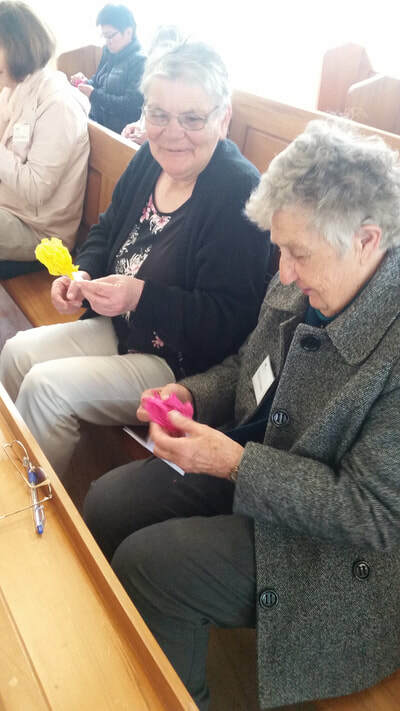 At the 10am service all ages translated that sermon into a craft activity that they could show care to someone else. 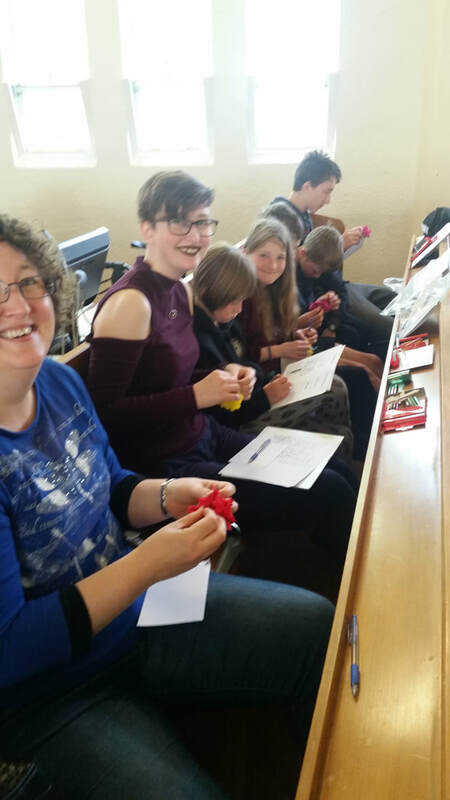 Men and women, young and old got into an activity designed by our Children's ministry team headed up by Jonathan Wasley, one of the Priests on our ministry team. It was good. People were buzzing. 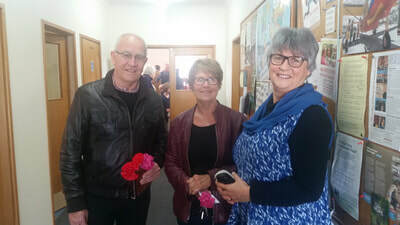 Furthermore Jean and Ken Rooney are back and like Chris and Suzanne Donaldson they are living examples of practical care that comes from a gospel base. Tomorrow, Tuesday 19 September the Church Office will be shut from 1030am to midday. Staff want to support our dear PA, Jude, by attending the funeral at Nativity, of her daughter in law. Often it's when times get tough that people really step up. All sorts of our people have done just that. There are people involved in the funeral itself. There are people like the AAW ladies who have been setting up the hall, making the lounge look welcoming for family who want to be there before the service, and will be helping with the refreshments after. And for this last week are the uncounted people who have been praying. Thank you Nativity family. You have opened your hearts - yet again. God has a mission, and uses the church to join him in it. 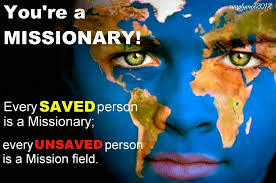 Spurgeon said "Every Christian is either a missionary or an imposter". 1st - the ratio of numbers of those who know Jesus to those who don't is much lower in New Zealand than in most countries around the world. 2nd - is our Christian heritage. From that heritage the world has received so much well-being, especially in the areas of health, education and justice. These were spread around the world by the church more than any other agency. New Zealand's first public schools came with the missionaries settled here by Marsden in 1814. We don't have a monopoly on any of the great benefits spread by the church. Nor are we squeaky clean in regard to any of them. However the God we proclaim is good, and hasn't given up on us. For the 2,000 years of the history of the church, as people come to faith in Jesus, something happens in them. John Wesley noticed it in the revivals he saw. He called it "Redemption and lift". It's well said, if you had the cure for the worse disease on earth, you would want to get it out there for all to share. The worst condition there is affects every one of us. It's called sin. There is one cure - and only one. It's the forgiveness and redemption that Jesus brings. Now what is required is for those of us who claim to follow him to be more aware of the treasure we have, to support those who go from here, and we ourselves to share in word and deed wherever we are - here or away. 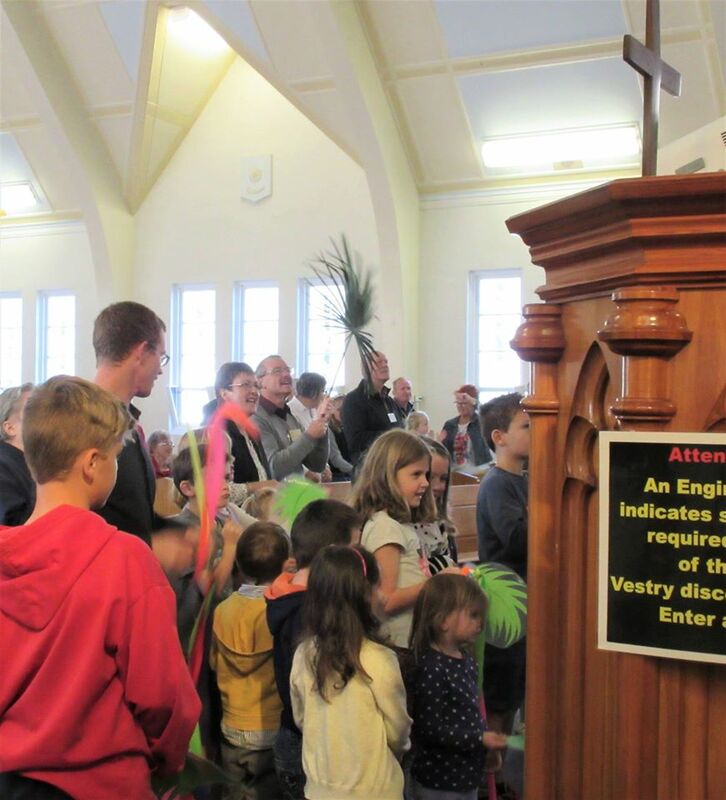 Barnies has always been a consecrated place of worship, including the last 21 years since it was moved from Springlands to beside Nativity in order to function as a youth centre. 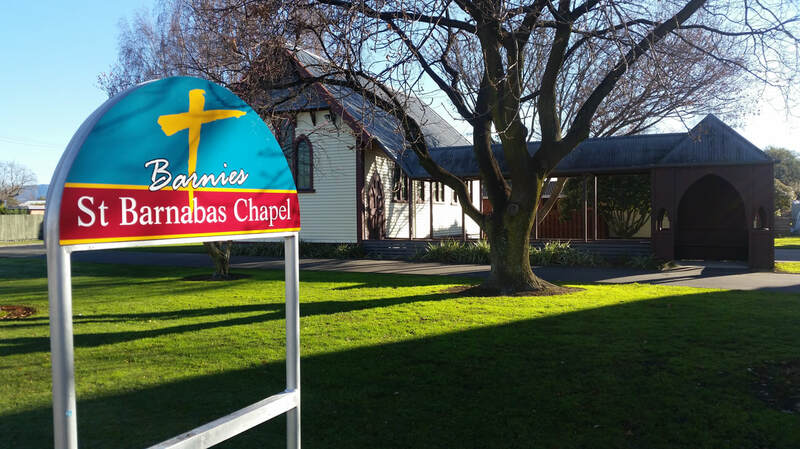 We are re-dedicating it now as St Barnabas Chapel "Barnies", because in the last 2 years the interior has been upgraded and it's regularly used for mid week Communion services, funerals, quiet days, prayer ministry and the like, in addition to being a place for our youth. It will continue to be known by both names, and the new sign outside indicates that. Recently we were gifted some beautifully embroidered Communion cloths, which Bishop Richard will also bless at that service, for use at Communion. Whether or not you follow Jesus, I hope you can come to some or (better) all of these services. They are all very different in style, but all worship Jesus, the God who calls us his, and calls us to call all his children throughout the world back to himself. The focus of them all will be the mission we are called to participate in under the leading of God's Holy Spirit. Tomorrow, Sunday 16 July is going to be rather special, celebrating the mission we are on the riches we have to accomplish it. Every Sunday is special, but this one has a bit more than usual happening. - 8am Traditional Communion Service Our Bishop, Richard Ellena with Hilary, will be with us, preaching and celebrating. 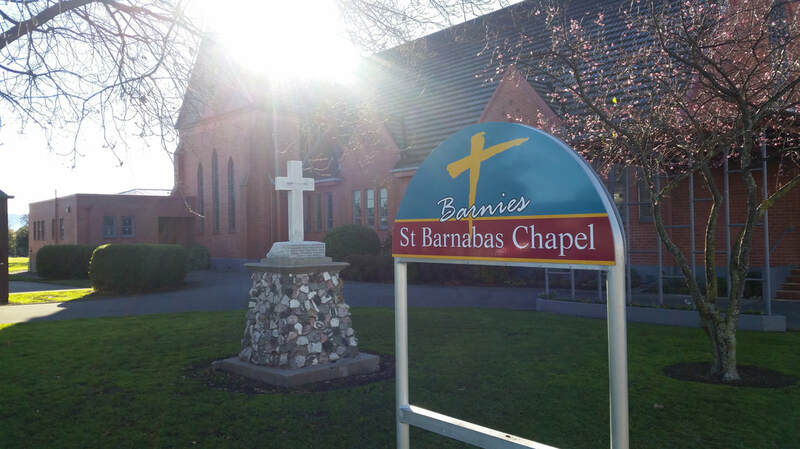 - 2pm Re-dedication of Barnies as "St Barnabas Chapel (Barnies)" by Bishop Richard. - 7pm Regional Dean Richard Dyer preaching on the Father Heart of God in Nativity Centre. Overseas mission - Why so important? This month at Nativity we are having a focus on overseas missions. For many years some people have challenged my support for making overseas mission a priority, though I hasten to add, I haven't had that at Nativity. "Surely" people say "we have more than enough needs right here in our own backyard." Is that a valid challenge? My reasoning for my stance is simple. It's based on when I was the newly ordained Curate (assistant priest) in Hawera. I wanted to do some Parish visiting in the isolated back country behind Ararata. So headed off into the hills first thing and started visiting. By the end of each day I had made some good visits, but not made much ground. One week I changed tactics. I travelled to the far end of the valley and worked my way back. People who'd not had a visitor in decades were delighted. Several made the effort to come to worship. Others were simply encouraged that someone from town was thinking of them. But what I also found was those who lived close to town had visits or contact anyway. So when it comes to our mission I believe it's the same one, be it here or there. Yes it's rightly done differently in different contexts. But if we don't start at the distant point, we'll never get there. In the meantime those closer will probably get what they need anyway. Wednesday evening, 31 May, people who have high regard for Jesus are gathering to wait in prayer like the first disciples. It's a 2 hour vigil from 5.30 to 7.30pm in St Barnabas Chapel (aka Barnies), beside Nativity Church. Everyone is welcome for any part, or all, of this 2 hour vigil. This time of prayer will focus on knowing the Holy Spirit in our lives as we remember and celebrate the outpouring of the Holy Spirit on the disciples at Pentecost, 2000 years ago. 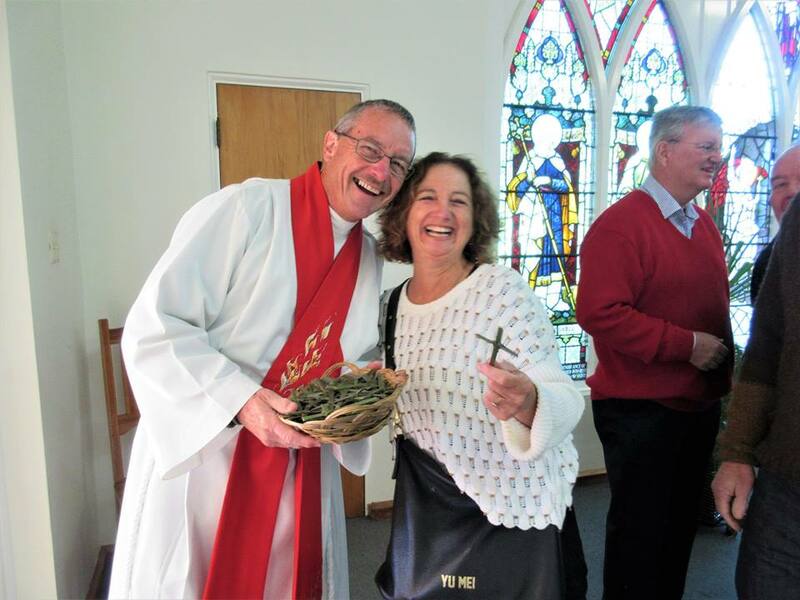 The Church in Blenheim - Together! This evening was really quite something. No - not the unusual sea fog that was in parts of town for a wee while. 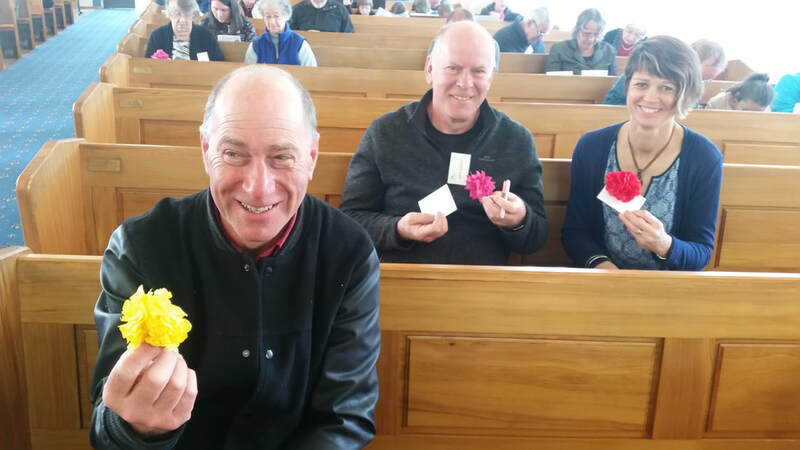 It was because a whole bunch of people from at least 7 different local churches, from Catholic to Pentecostal, met in Barnies (beside Nativity) to pray for and as the church, in Blenheim. And we're going to keep doing that from 5.30 to 6pm each night this week until Saturday. On Sunday night it'll be 5pm. That's prompted by the Annual combined churches Pentecost service this Sunday evening, 6pm at Elim. The offering is to help support the Wairau Hospital Chaplaincy. Tonight we started by reading chapters 14 to 17 of John's Gospel. In that Jesus told how he would have to leave them, but then send his Holy Spirit to empower his followers to do the things he did. Then he prayed for us in one of the most profound prayers recorded. He did that the night before he died. If you are in town this week get along to as many of these prayer gatherings as you can. A combined churches week of prayer leading to Pentecost. Monday 29th to Saturday 3rd June, 5.30pm - 6pm. 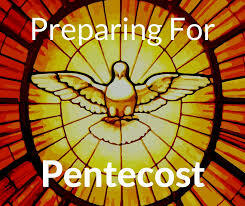 Sun: 5pm, Elim, in Burleigh Rd prior to a combined Pentecost service at 6pm. Stronger Together ... in Prayer! Easter - my message to you. People often think Christmas is the most important Christian festival. It's actually Easter. Because of Easter, the other incredible things the Bible tells of are believable. That includes the amazing fact of God becoming a human being in Jesus. Everything stands or fall on the resurrection of Jesus from the dead. - it's my prayer for you all that you will know the power of his resurrection this Easter. - it's my challenge for you that you will seriously consider anew the evidence for the resurrection of Jesus from the dead. - it's my invitation to you to give time and space this weekend to walk the journey and experience this part of the passion and power of the living God who saves. Tonight Libby and I started the Easter journey. We attended the beautiful service of Tenebrae, the service of shadows. In it we followed the events of the night Jesus was betrayed, with candles being extinguished after each reading. Tomorrow morning (Good Friday) up to 1000 people will gather at 1030 in Blenheim's ASB Theatre for a combined churches event themed "It should have been me". From midday to 3pm, the time Matthew's gospel tells us Jesus hung on the cross till he died, people will gather in Nativity Church. "Three Hours at the Cross" is 6 half hour contemplative services that form one 3 hour service. In it we follow again, the events of that day, from his trial to his death and burial; and we consider the implications for us. Then follows what is known as "The Great Silence". Unfortunately it's often more "A Great Clamouring" of commercial busyness, encouraged by hungry commercial interests and weak government. Sunday is Resurrection Day. The 3rd Day since Jesus was murdered. The day we celebrate with gladness the results of what God in Jesus has done for us. At Nativity we do that in traditional form at 8am, in all age worship at 10am, and in the contemplative Taize style at 7pm. Regardless whether this is all new to you, or you have been following this for years, check it out at Nativity, or a church or churches near where ever you are. Come. Walk the walk. 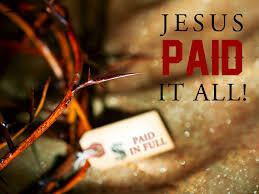 "I want to know Christ and the power of his resurrection and the sharing of his sufferings"
Palm Sunday was yesterday. Yet another great day with the Nativity family! and go to the Sermons tab. 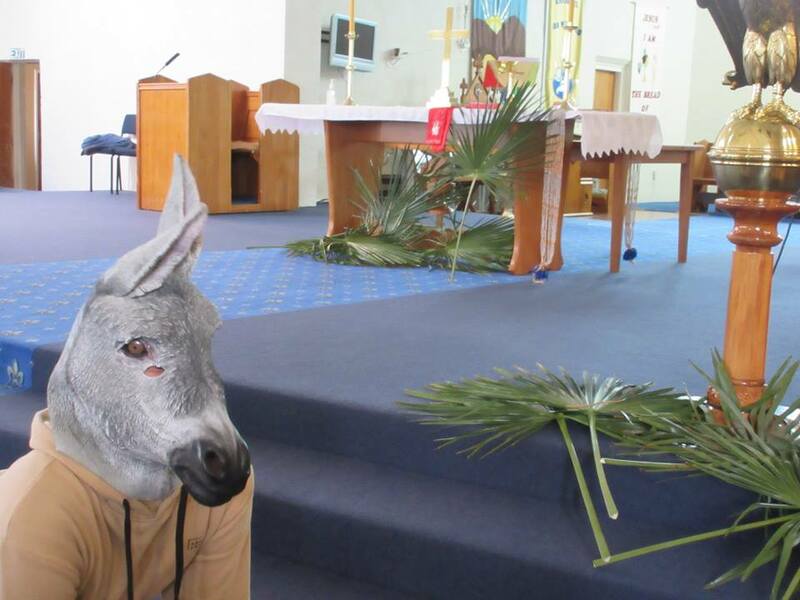 At 10am a very obliging donkey turned up with a junior Jesus aboard, and a really welcoming crowd. And Peter preached that sermon all over again, without losing any of what made it so good at 8am. Palm (ie flax) crosses made by Vivienne James and Ngaire Newman were handed out after both service, and others were taken to a local rest home. You can read a bit about what the story is with Palm crosses on our website. Go to the News tab, then News and Events and then download the pew news for 9 April. It's all a prelude to this coming weekend - Easter. This is the most important celebration of the Christian faith, just ahead of Christmas. Come to our services and find out why! (Check in Pew News (as above) or on the Nativity Facebook page.